← ABD – İNGİLTERE – FRANSA * BOP – SOĞUK SAVAŞTA SICAK TEMAS * YENİ BİR HAÇLI OPERASYONU * Suriye füzelerle vuruldu! USS Independence (LCS-2) is the lead ship of the Independence-class littoral combat ship. She is the sixth ship of the United States Navy to be named for the concept of independence. The design was produced by the General Dynamics consortium for the Navy’s LCS program, and competes with the Lockheed Martin designed Freedom variant. This entry was posted in DENİZ VE DENİZCİLİK, YENİ NESİL SİLAHLAR. Bookmark the permalink. Öğretmenler! 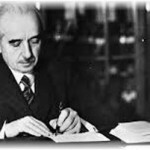 Cumhuriyet, fikren, ilmen, fennen, bedenen kuvvetli ve yüksek karakterli muhafızlar ister. 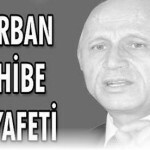 Yeni nesli bu özellik ve kabiliyette yetiştirmek sizin elinizdedir.